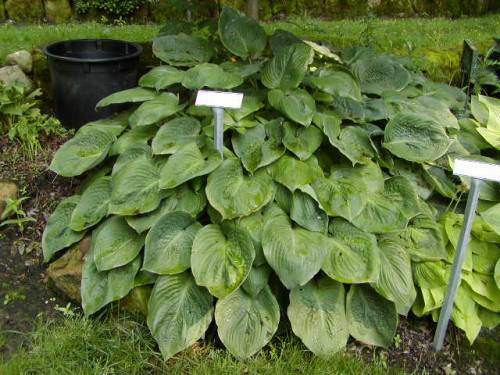 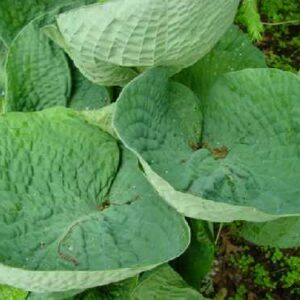 Medium: 26″ high by 70″ wide mound of deeply cupped foliage that is blue-green early, becoming shiny green by July; average leaf size 10″ long by 7 1/2″ wide (12 vp), but as large as 11 1/2″ by 9 3/4″ (15 vp); leaf blade very broadly ovate, moderately corrugated. 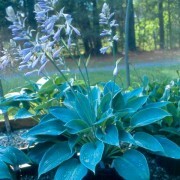 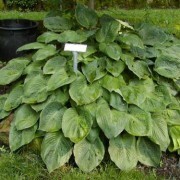 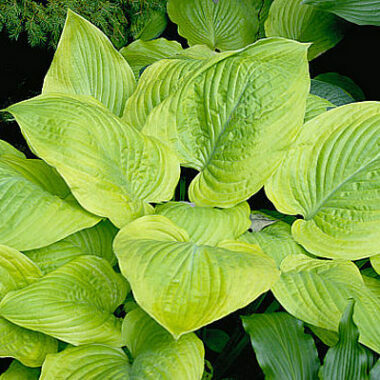 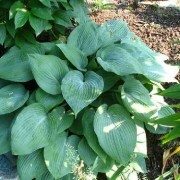 Alabama Bowl’ Hosta is a medium large blue green hosta. 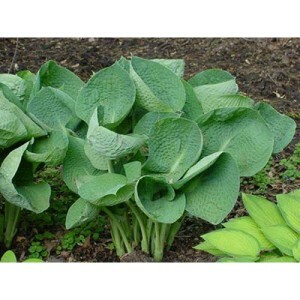 Leaves are rounded with a pointed tip, that cup upward. 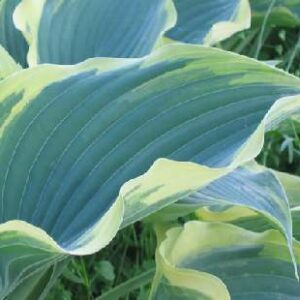 Slight undulation and intense rugosity. 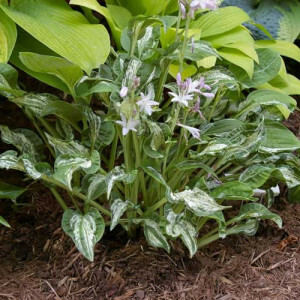 Flowers are near white in July.